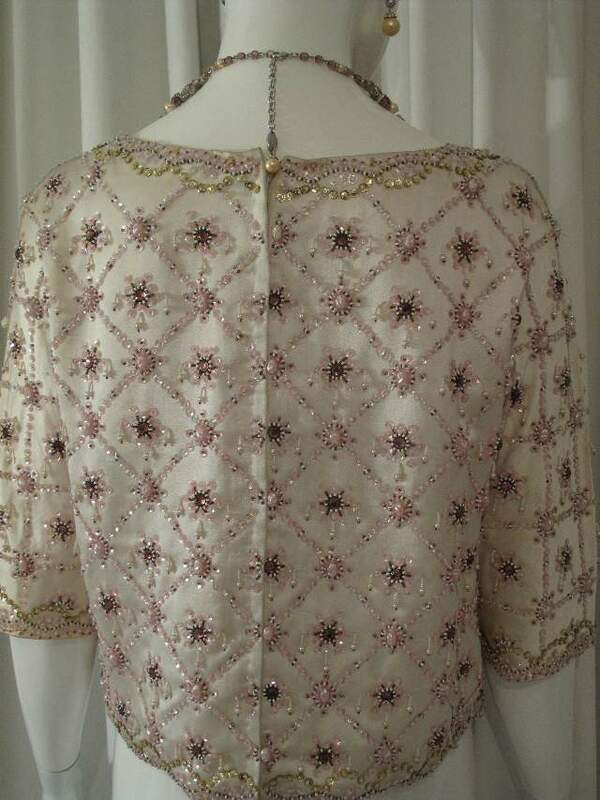 1960's Oyster silk satin jewelled vintage evening top. The piece has a wide scooped neckline with 3/4 length slightly flared sleeves. It has a loose cut that falls beautifully. 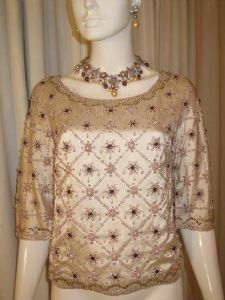 It is completely hand beaded in a diamond pattern trellis design, with jewelled clusters in the centre of each diamond. 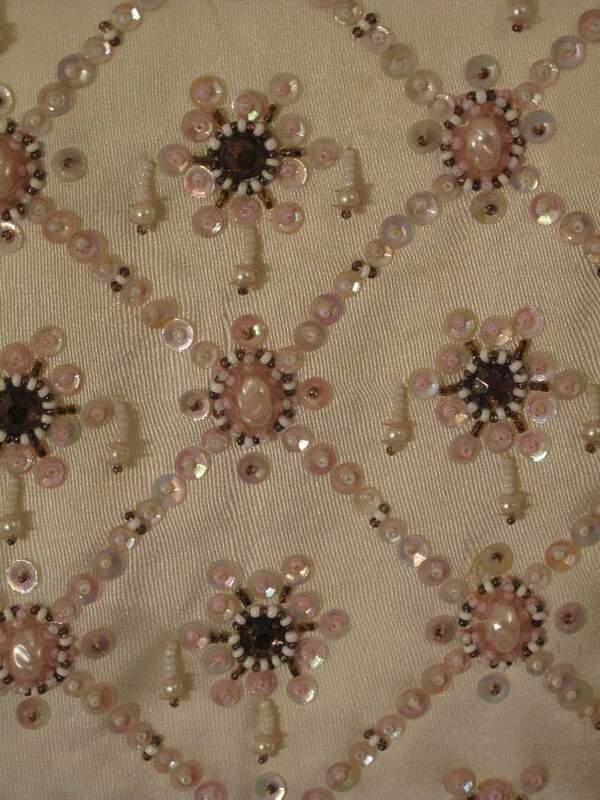 There are clear iridescant cup sequins, soft gold faceted sequins, small white glass, clear glass and pale mauve glass beads. Textured oval faux pearls, hanging beaded pearl tassels and amethyst faceted stones. 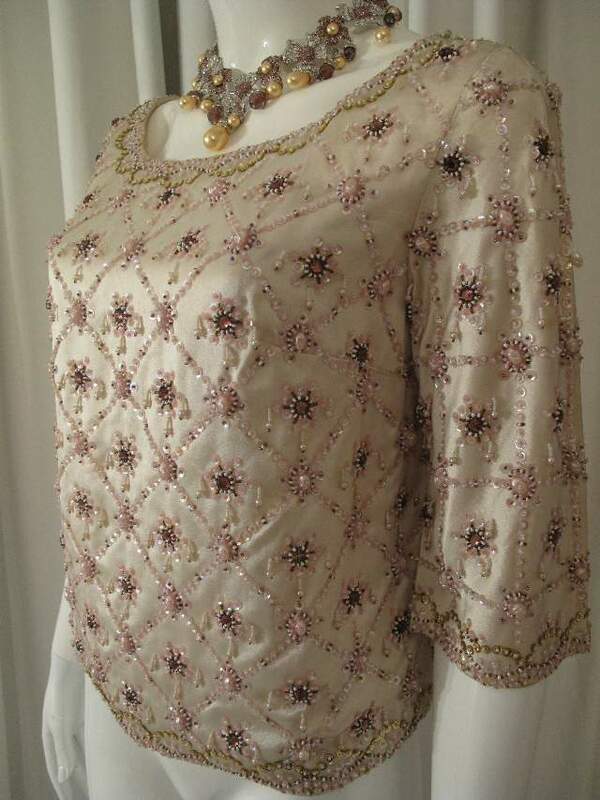 It is lined in ivory silk crepe. 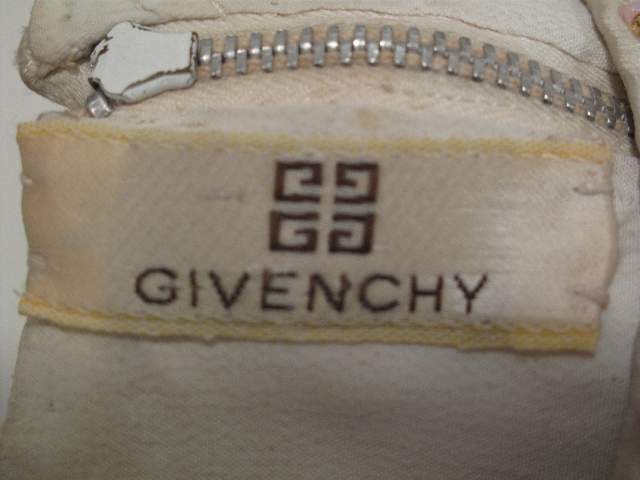 Classically cut with fabulous tonal beadwork, trademarks of a signature Givenchy piece. A cliche..... but yes, you really can see Audrey Hepburn in it! Jewellery shown, not for sale.